Multiple Teams · Aug 9 OPEN TRYOUT RESULTS!! 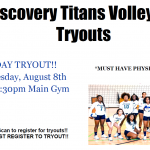 Multiple Teams · Aug 7 VOLLEYBALL TRYOUT!! ONE DAY ONLY!! 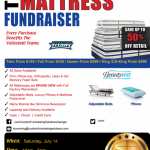 Multiple Teams · Jul 12 Discovery Volleyball One Day Mattress Sale!!!! 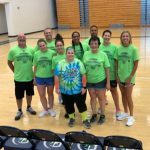 Multiple Teams · May 16 CONGRATULATIONS TO THE 2018-2019 VOLLEYBALL TEAMS!! 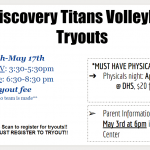 Multiple Teams · Apr 17 Volleyball Tryouts for the 2018-2019 Season Coming Soon…..
2018-2019 Discovery Volleyball Tryouts See Flyer Below!! REGISTER NOW!!! Tiny Titans and Jr. Titans Academy begin soon! Register now before it’s too late!! 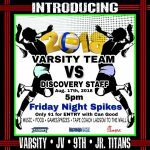 Contact Coach Ladson at discoveryvolleyball@gmail.com for more information.